Welcome to Callan Student Practice Area! 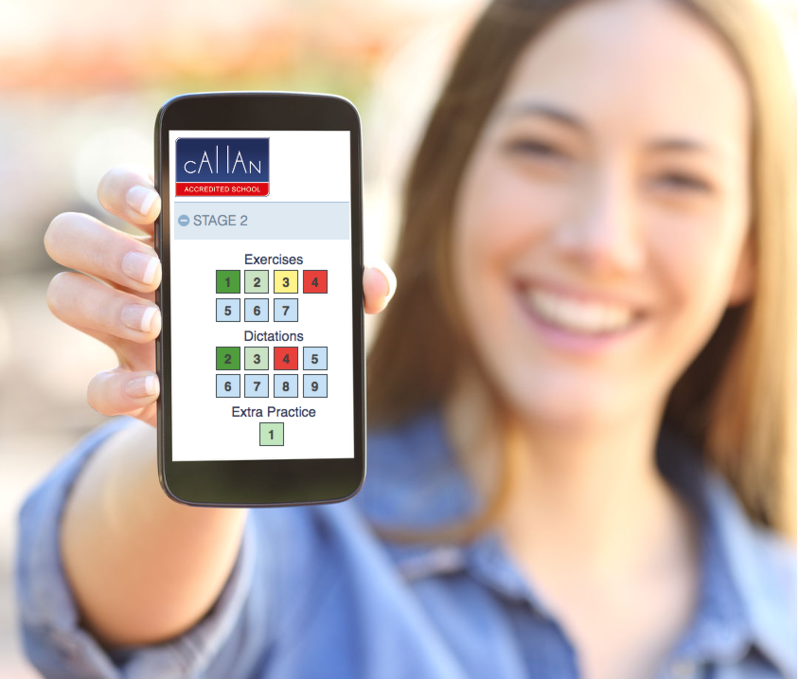 Callan Method interactive exercises, video dictations and extra practice now available on smartphones, tablets and desktop devices. Here you can revise what you have learned in your Callan Method classes. Repeat as many times as you want at your own speed. Audio and video is recorded by real Callan Method teachers. Includes exercises from the complete Callan Method - Stages 1 to 12. The Callan Student Practice Area is available exclusively to Students of Callan Accredited Schools. You can now keep improving your English after the lesson at your school. Read Callan eBooks and listen to Callan audio lessons via our app available on iOS, Android, PC and Mac platforms.